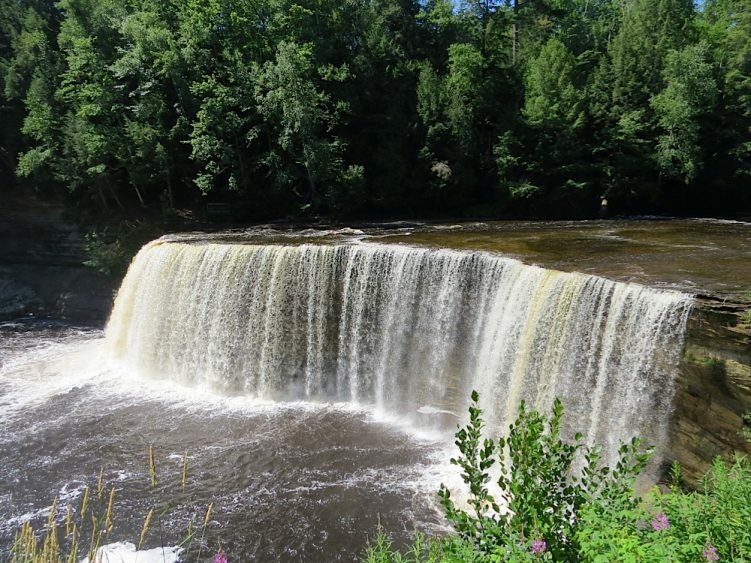 What a glorious sight is Tahquamenon Falls in the Upper Peninsula of Michigan. 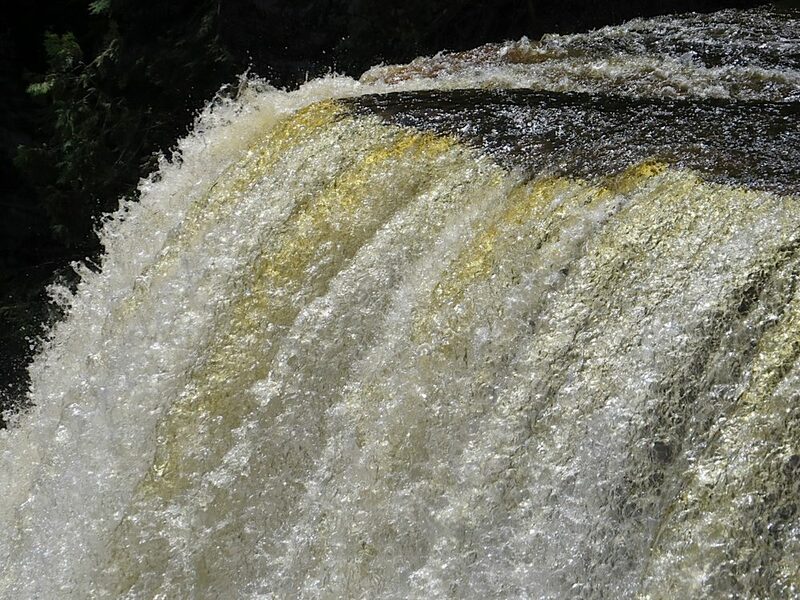 We had opportunity to visit the falls and were struck again with the magnificence and glory of God’s creation. It is a destination that everyone should see at least once in their lives. 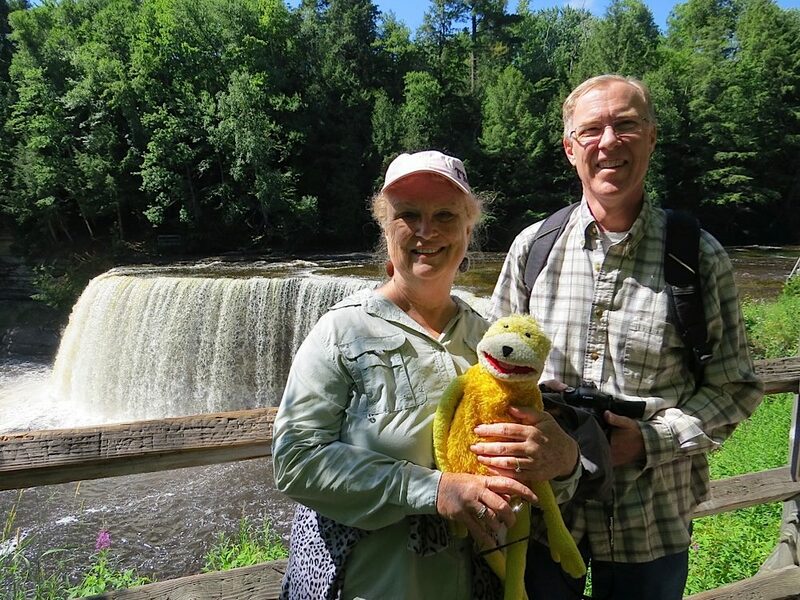 Bonnie has many fond memories of her family camping at Tahquamenon (pronounced Ta-Qua-meh-non) in both summer and winter seasons. According to her brother, her father once said that he prayed a selfish prayer, “Lord, when you get around to destroying this earth and creating a new heavens and earth, could you just save this one spot for me?” And we can certainly see why, when we view this magnificent wonder of nature. But, we do know that when God creates the new heavens and earth, the glories of the old will not surpass the glories of the new! The drive to Tahquamenon from the Mackinac Bridge is mostly through national forest land. The population of the area is not very dense; you can forget about looking for a McDonalds, and sometimes even a cell phone signal. But the drive is indeed a calming and soothing time to reflect on just how big and grand is this land of ours called the United States and how privileged we are to reside in this country. We didn’t have a motel reservation when we headed toward Tahquamenon. But because we were in a national forest, we knew about the opportunity for “dispersed camping,” which simply means that you can pull off on an NFS road and find a spot to camp for the night without needing a reservation or paying a fee. And that’s exactly what we did. We found a dirt road leading to a trailhead and alongside that road was a pull off just the size we needed to park our van. Because we sleep in the van, we didn’t need to set up a tent; we just enjoyed crawling into our bed and going to sleep. Being in the van also kept out the mosquitoes, which in Michigan are more the size of baby elephants . Really, though, those little guys were out in force so if you want to visit Michigan in summer, be sure to bring some repellent along with you, if you want to keep your sanity…and your skin intact.